This house fire started because the stovetop was left on. When the kids got home they threw their backpacks on top of the stove, went outside to play. Fire started in kitchen but expanded to rest of rooms in the house. Paul Davis Restoration took care of everything. 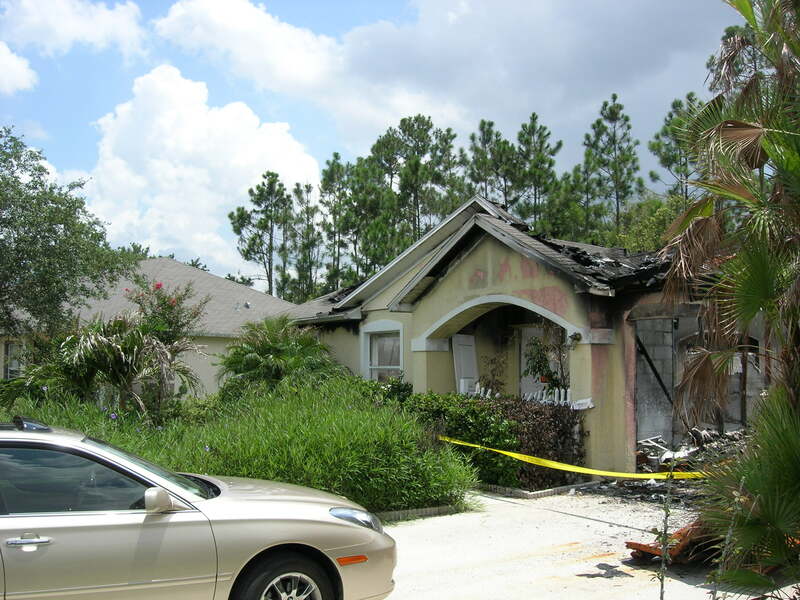 Once we were done with site evalutation, damage repair, and site cleaanup, you would never know a fire ever took place at this home. 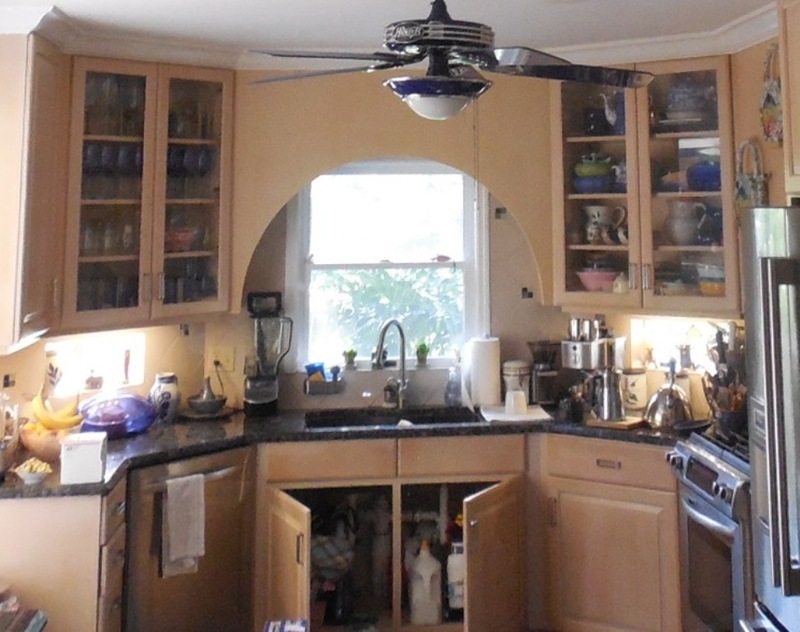 This kitchen remodel project maintained the same cabinets and sink. Gave the kitchen an updated look by switching out the lights with an industrial style chandelier, and by adding a modern backsplash around the framing of the window. From this after image, you can see how much of a difference the Paul Davis Restoration of Orlando team made. Remodeling your kitchen is one of the best upgrade investments you can make in a home. From breakfast in the morning, to homework in the evening, to special dinner parties, your kitchen serves as the hub for all kinds of events and get-togethers. It’s important to ensure that your kitchen is always functioning properly so these events can occur successfully and without interruption. When you trust Paul Davis Restoration & Remodeling for your kitchen remodeling services, you are guaranteed to receive a beautiful kitchen at a reasonable cost that fits your lifestyle. For the last 50 years, Paul Davis has built a solid reputation as a kitchen remodeling company. 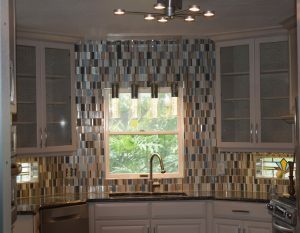 We are committed to doing the best quality work on all kitchen remodel projects, whether your kitchen is big or small. If you’re ready to revamp the heart of your home, call Paul Davis today. 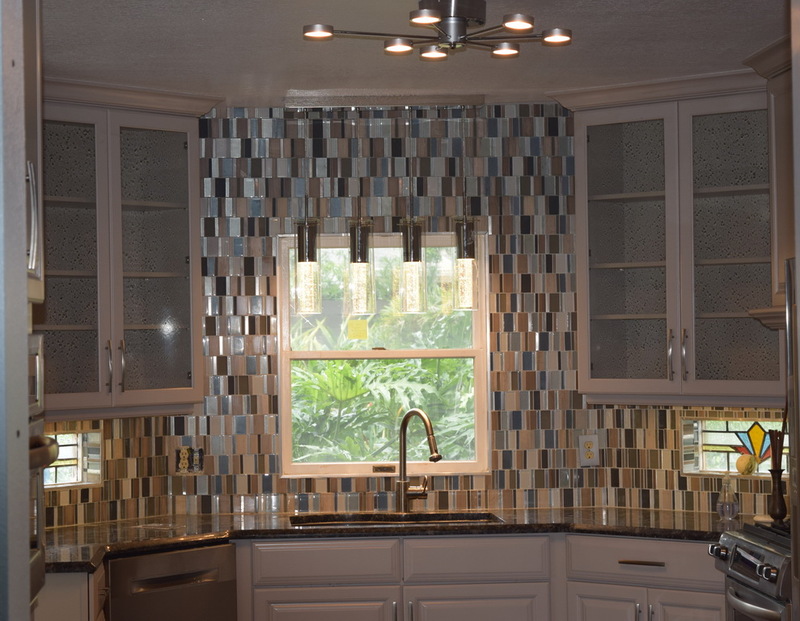 An experienced Paul Davis kitchen remodeling contractor will work hand-in-hand with you to determine your needs and goals for the new kitchen. From this, a specific blueprint and schedule will be created. Paul Davis kitchen remodeling contractors can even do great remodeling work on kitchens, work with remodeling on a budget and provide you with valuable kitchen remodeling tips and various kitchen remodeling resources as we go along. The outcome of your kitchen remodeling project won’t only be a kitchen that looks brand new, but a kitchen that is also more functional. During this project you can make more space, upgrade appliances, and make other improvements. Updating your kitchen will also increase the overall value of your property. Planning: This is the first kitchen remodeling tip because it is the key to a successful kitchen remodel, especially when you’re remodeling on a budget. You need to carefully select every piece of the project, from the cabinets to the flooring, based on your budget. Keeping organized from the beginning of your remodeling project is the best way to avoid unexpected expenses creeping up throughout the project. 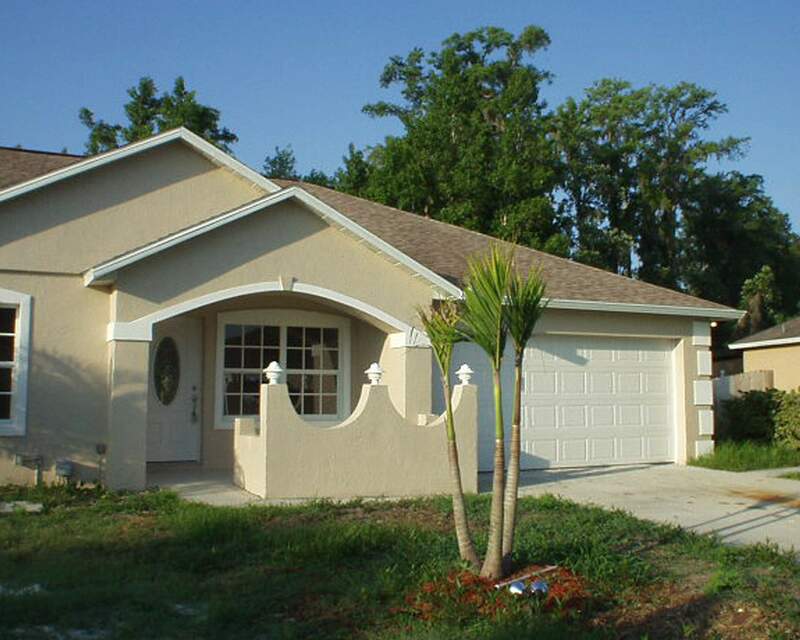 Paul Davis’s kitchen remodeling contractors know how to plan a project on any type of budget. We will help you create a solid foundation for your kitchen remodeling project so you can stay on budget and receive a quality end product. Construction: As our remodeling contractors work with you on your kitchen, we will determine whether or not the physical space itself needs to be altered in any way. If you are remodeling a smaller kitchen, there are often no changes necessary, and we can simply improve your cabinet layout, add new fixtures, flooring, and countertops. However, larger kitchen remodeling projects might require alterations like removing soffits or breaking down walls to add space. Relocating Appliances and Plumbing: After the Paul Davis kitchen remodeling technicians have determined how much space you have, appliances, and plumbing may need to be relocated. Moving your appliances is actually a great, inexpensive way to improve your kitchen’s utility if you’re remodeling on a budget. However, moving plumbing supply lines and drains is more costly, so if you want to move your sink or dishwasher to a new location, keep this in mind. Electrical: The lighting is crucial during your kitchen remodel, as quality lighting provides quality conditions for cooking, dining, and homework, along with offering an aesthetic accent. It is possible to change bright task lighting, general lighting, and accent lighting when you remodel your kitchen. You can also move electrical outlets and switch positions if needed. Flooring: Kitchen floors come in a variety of materials, most commonly tile, hardwood, laminate, and vinyl flooring. Each surface differs in texture and durability, with tile being the most durable, but also the coldest, most uncomfortable, and least forgiving. If your existing floor is in good shape and you’re remodeling on a budget, re-purposing it is a great way to save money. New Appliances: Stoves, ovens, cooktops, dishwashers, refrigerators, and microwave ovens all come into play when you’re upgrading appliances. Those who are remodeling their kitchen on a budget should consider a freestanding slide-in range that has both an oven and a cooking surface, since this will take up the least amount of space and give you two functions in one. You can also choose from built-in refrigerators and microwaves if you want everything in your kitchen to blend seamlessly. 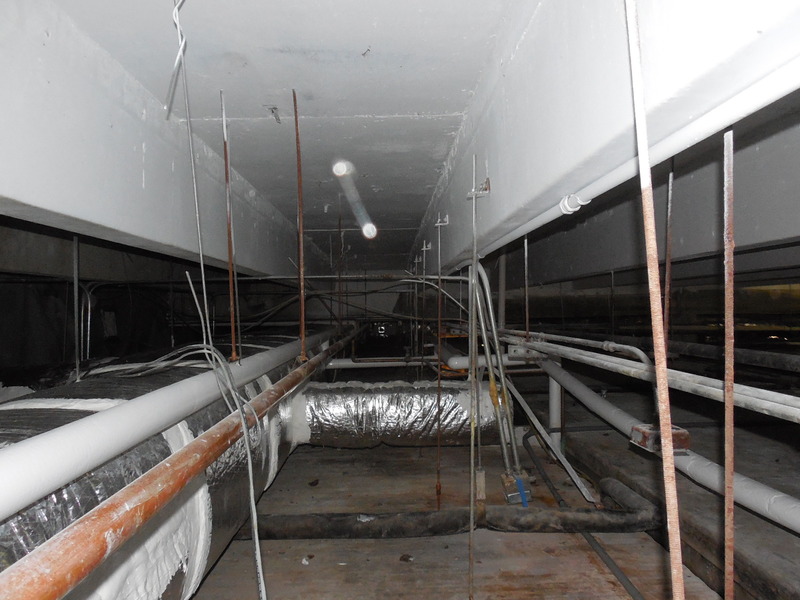 This warehouse was covered in mold, requiring a full containment setup and mold remediation. After we were done, you could hardly recognize the place. 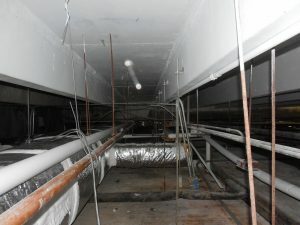 The mold is long gone and the working environment is safe once again. 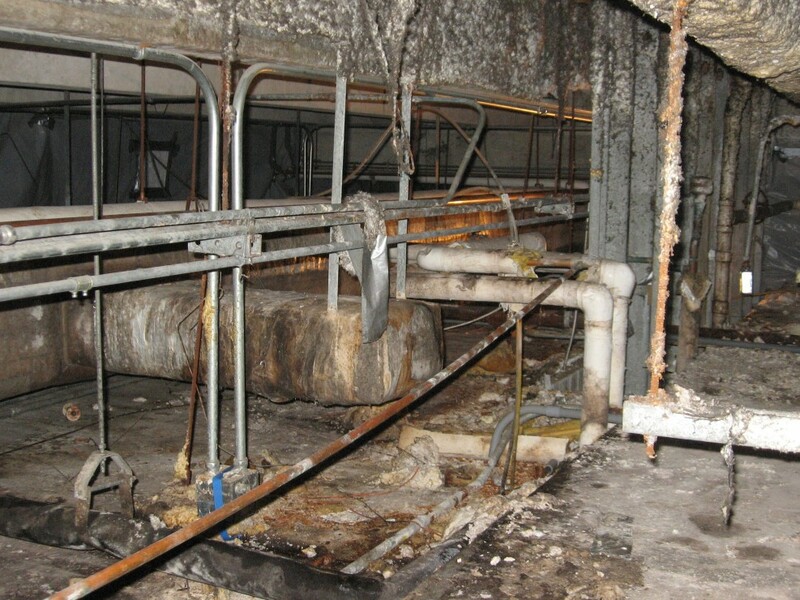 Paul Davis professionals are trained and certified in mold remediation to ensure that problematic spores are removed quickly, safely and completely.